The officer should be SAG/ NF-SAG IRSE with a minimum of 20 years of Group -A service. The officer with Group-A service as mentioned above should have experience in Railway construction and maintenance. He should have knowledge of contract management and should be able to handle construction projects. Eligible candidates may send their CV in a prescribed format (attached below) through respective administrative officer (HQ/Board) indicating No Objection, Vigilance/DAR clearance and ACRs for the past 07 years to Administrative officer (HQJBoard), RITES Limited, Rites Bhawan, No.-1, Sector-29, Gurgaon- 122001 on or before 03 May 2019. 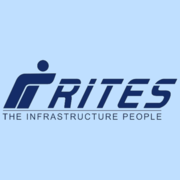 RITES Ltd Recruitment 2019 - Job notification for GM (Civil) Post in RITES Ltd, Gurgaon, Haryana on Deputation Basis. Applications are invited by RITES Limited on or before 21 May 2019 for 1 vacancy.